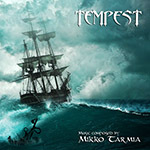 An orchestral soundtrack album Tempest has just been released. It was composed by Mikko Tarmia for a cancelled adventure game back in 2004. The album is available from BandCamp. SOMA soundtrack album is now available from Bandcamp as well. Soundtrack album for SOMA has been released. The album is currently available as download only from major online music stores such as iTunes, Spotify, Amazon and many more. 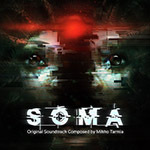 The soundtrack album, composed by Mikko Tarmia, contains a selection of music tracks from Frictional Games' survival horror game SOMA, including several tracks that were left out from the game.